This family was not as ‘fortunate’, just a month after the blaze that killed their infant son and his father, the mother joined them in death yesterday. NABLUS (Ma’an) — Thousands of Palestinians took part in the funeral of Riham Dawabsha, 27, who died overnight Sunday after succumbing to wounds she sustained more than a month ago in an arson attack on July 31 that killed her husband and 18-month-old son. The funeral march set off from the entrance of Duma village in southern Nablus and proceeded to the village’s cemetery. Dawabsha was given a military funeral as members of the Palestinian Authority security forces headed the march. 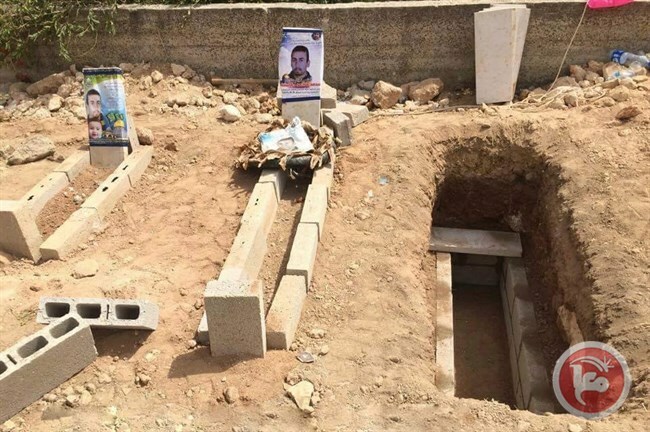 The 27-year-old mother of two was buried in the village’s cemetery, next to her husband and son who were laid to rest last month. 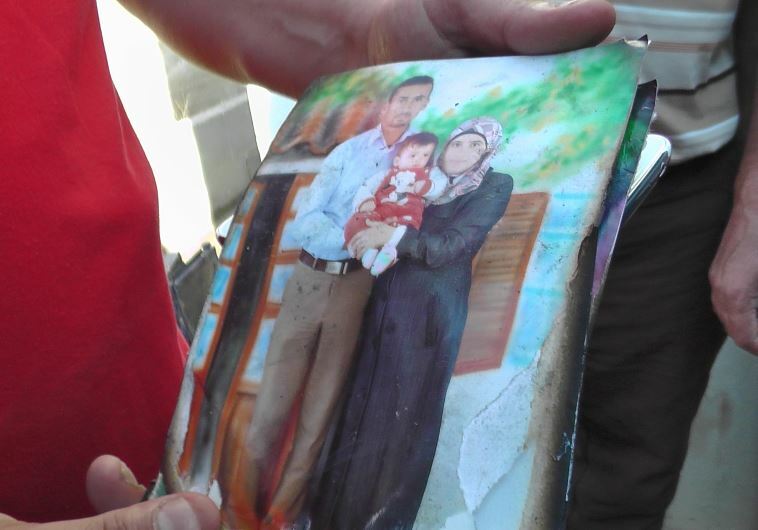 Dawabsha died hours after her birthday, on Sept. 6, while her husband died on Aug. 8, the couple’s wedding anniversary. Mourners held Palestinian flags and the flags of Palestinian political factions in addition to signs demanding national unity, while others called for revenge and demanded the Israeli government find and hold the attackers accountable. Dozens of students from Jurish School for Girls, where Dawabsha worked as a mathematics teacher, took part in the funeral in addition to hundreds of teachers, as the Nablus Directorate of Education suspended the school day to give students and teachers a chance to take part. The governor of Nablus, Akram al-Rujoub, the PA Minister of Education, Sabri Seidam, and representatives of national and Islamic factions took part in the funeral, in addition to members of the national and legislative councils and heads of PA institutions. Israeli settlers smashed the windows of two homes in Duma, before throwing flammable liquids and Molotov cocktails inside, killing infant Ali, who was trapped inside the house, and critically injuring the other family members. Following the incident, Israeli authorities arrested a number of extremist settlers without charge, but later released nearly all the suspects. 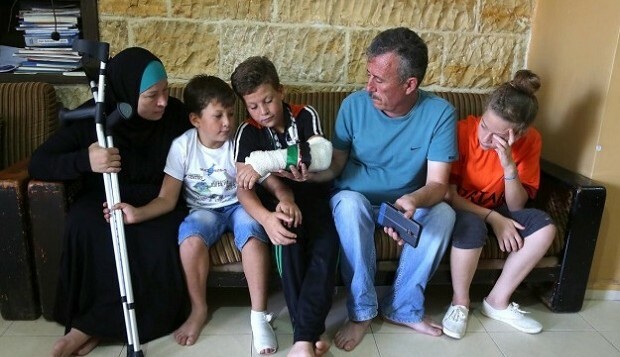 The perpetrators of the attack have still not been arrested by Israeli authorities. Israeli settlers have carried out at least 142 attacks on Palestinians in occupied East Jerusalem and the West Bank since the start of this year, according to the UN Office for the Coordination of Humanitarian Affairs. Only 1.9 percent of complaints submitted by Palestinians against Israeli settler attacks result in a conviction, the Israeli human rights group Yesh Din reported.